Painter and sculptor Ernest Silva, professor emeritus of visual arts at UC San Diego, died Feb. 24. He was 65. Silva joined the faculty in 1979 and retired in 2013. 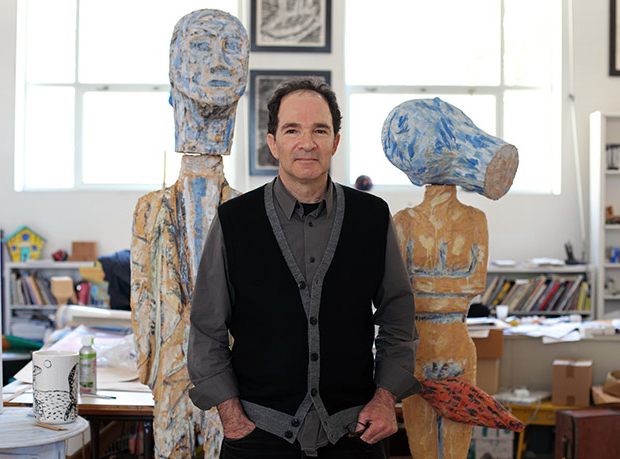 Reviews of Silva’s work appeared in Arts magazine, ARTnews, the Los Angeles Times, the San Diego Union-Tribune, Art in America and many other publications. Silva was born Dec. 11, 1948, in Providence, R.I. He earned a bachelor’s of fine arts degree from the University of Rhode Island and a master’s of fine arts from Temple University’s Tyler School of Art. Silva’s work was featured in more than 50 solo exhibitions and at least 200 group shows, at museums and galleries in New York City, Chicago, Los Angeles and many other American cities, as well as in Italy, Denmark, Mexico and other international locales. Silva is survived by his wife, Susan Silva; two stepsons, Marcus and Vaughan Mabee; his 93-year-old mother, Theresa Silva; sister Ann Casey; and brother Ronald Silva.